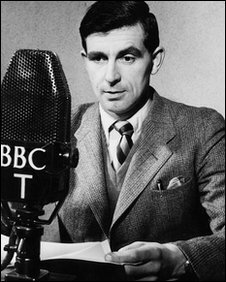 During a career with the BBC which spanned almost 50 years, Bill McLaren became without doubt the best known and most widely respected commentator in world rugby. His voice came to represent the sport in the same way that Murray Walker did for Formula One or Harry Carpenter did for boxing. A talented flanker in his youth, he served with the Royal Artillery during World War II and had later been on the verge of a full Scotland cap when he contracted tuberculosis, which almost killed him. "I was desperately ill and fading fast when the specialist asked five of us to be guinea pigs for a new drug called Streptomycin," he once recalled. "Three of the others died but I made what amounted to a miracle recovery." McLaren's first commentary was made while convalescing from TB, describing table tennis matches for the hospital radio. As a child, he had copied the voices of the rugby commentators he heard on the radio, and wrote fictional accounts of matches which always saw Scotland triumph over the rest of the world. 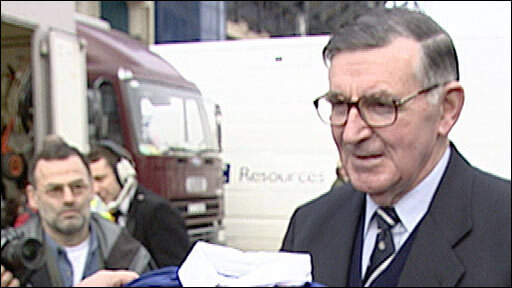 His career progressed rapidly, and he made his national debut for BBC radio in 1953, when Scotland were beaten 12-0 by Wales, before switching to television six years later. The depth of McLaren's research became legendary, and he would spend days watching teams train in the week before a match, and then spend nights practising with his own special packet of cards. His voice was instantly recognisable, and generations of rugby fans grew up listening to a man they believed to be fair, knowledgeable, and a lover of the game. Among the personal highlights of his career were the commentary for Scotland's Grand Slam victory over England at Murrayfield in 1990. While his voice was almost operatic in its clarity and range as he described his son-in-law Alan Lawson scoring against England in 1976, when he managed to convey the excitement of the moment without bias, as only he could. He combined his commentating with working as a physical education teacher in his hometown of Hawick, in the Scottish Borders, where he had been born in 1923. By the time he retired from teaching in 1987, he had coached several players who went on to play for Scotland, including Jim Renwick, Colin Deans and Tony Stanger. The committed family man lived in Hawick with his wife Bette, whom he had met on a blind date at in the town's hall in 1947. The couple famously used to play 18 holes of golf together every day, while McLaren claimed that every day out of Hawick "was a day wasted". After a distinguished career, McLaren retired in 2002. His final commentary was Scotland's match with Wales, when the crowd sang For He's a Jolly Good Fellow in his honour. He became the first non-international rugby player to be inducted into the International Rugby Hall of Fame, and was awarded the CBE, OBE and MBE. But despite an internet campaign, he was never knighted for his services to the game he loved.